BIG PRICE REDUCTION! WONDERFUL ESTATE PROPERTY ON ACREAGE!! 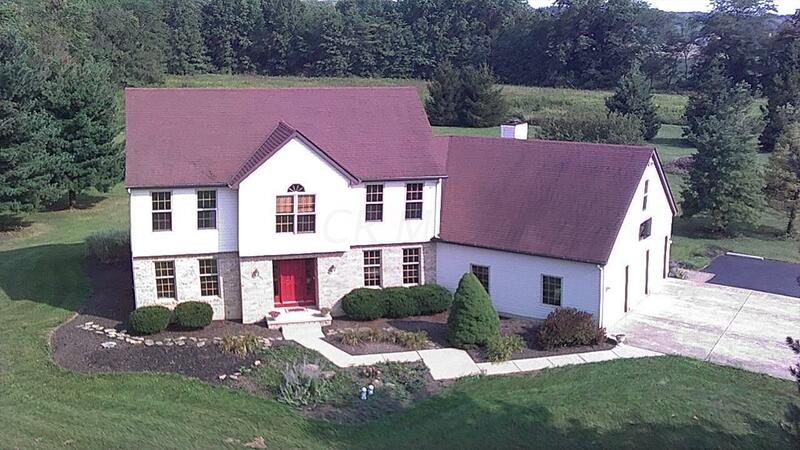 GREAT LOCATION FOR THIS 10+ ACRE PROPERTY JUST OUTSIDE OF SUNBURY & JUST MINUTES FROM I-71. OUTSIDE THERE ARE ONE OF A KIND VIEWS & PRIVACY FROM ALL ANGLES, A BIG CUSTOM PAVER PATIO, A 32X56 POLE BARN W/ ELECTRIC & 1/2 CONCRETE FLOOR. INSIDE THERE IS SHINY, SOLID OAK HARDWOOD IN THE KITCHEN, DEN, FOYER, LAUNDRY RM, MASTER BR & BA AND HALL BATH. CORIAN COUNTERS IN THE KITCHEN & BATHS. SOLID 6 PANEL DOORS & HAND-STAINED TRIM. PELLA WINDOWS, A DIMENSIONAL SHINGLE AND MORE!! COME SEE! FOR MORE INFORMATION ON THIS PROPERTY – CONTACT LISTING AGENT – SCOTT A. BOOKHEIMER!